In addition to the tornadoes that raked Oklahoma Wednesday night, a phenomenal amount of rain fell in Oklahoma City. We've fielded many questions regarding the level of rain and the extremity of this flooding event. 7.10" of rain fell during the calendar day (May 6). The 7.10" of rain is the amount normally received from the beginning of the year through April 12. In this one day, they received 71.4% of normal year-to-date rainfall. 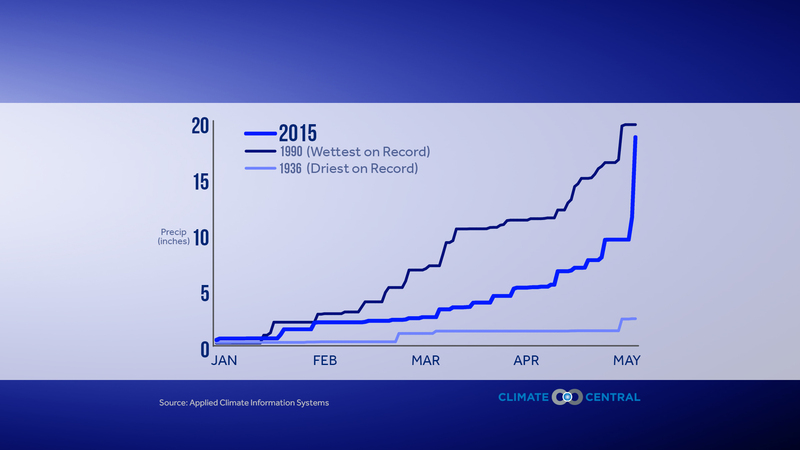 Normal year-to-date rainfall is 9.95". 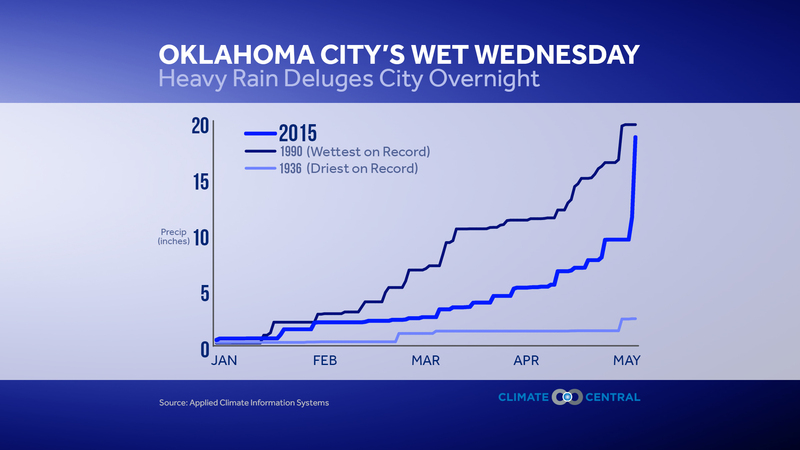 Wednesday brought the 3rd-highest rainfall on record for any day in Oklahoma City. Records go back to 1891. The two higher values were 7.53” (Sept. 22, 1970) and 7.62” (June 14, 2010). The two-day rainfall total ending Wednesday (9.09”) was the second-highest on record (10.43” on Oct. 19-20, 1983). Even if no more rain falls the rest of May (currently standing at 9.09”), Oklahoma City will have its 16th-wettest May on record (wettest: 14.66” in June 1989).